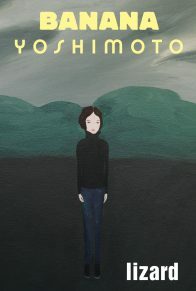 Banana Yoshimoto’s novels have established her as one of Japan’s finest and most popular writers, and an acclaimed and best-selling literary star all over the world. 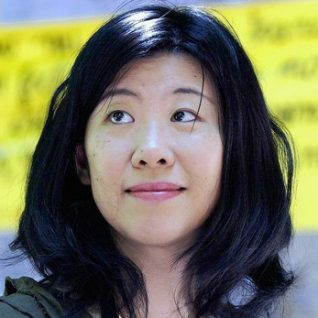 Now she delivers three novellas that develop her sophisticated, resonant, and artfully simple vision, in Asleep, a book that is already an international best-seller and may be her most charming since Kitchen. The flood of memories that streamed over me when this draft of an old letter emerged from the depths of one of my drawers was so powerful that for a few moments I stopped cleaning and just sat still. I read through the English text again and again, speaking the words aloud. The letter was addressed to a young woman Yoshihiro had dated when he was in high school. Her name was Sarah, and she’d come to Japan as a student. 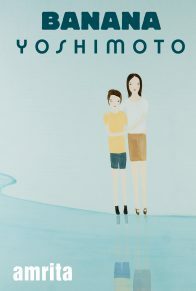 Yoshihiro was my older brother–he’d died a year ago. Almost as soon as Sarah went back to Boston, Yoshihiro had begun talking about how he wanted to see what it was like to live in some other country, saying stuff like that, and then one day he just chased off after her, hardly giving a moment’s thought to what he was doing. He worked various part-time jobs there and fooled around doing a little of this and a little of that, and didn’t come home for almost a year. Yes … as I read the letter I remembered more and more about how things were back then. Yoshihiro had gone off so suddenly and contacted us so infrequently that Sarah had worried about it, and she had sent me a letter explaining how things were going in my brother’s life. The letter I’d found was my reply to this. I’d been in high school when I wrote it, and it had never even crossed my mind that things might turn out the way they have. I was writing to a real American Girl–a very kind, very pretty American Girl. I flipped through the dictionary as I wrote, quivering with nervous excitement. Yes … Sarah was an adorable girl with intelligent blue eyes. Everything Japanese delighted her, and she was always trailing along behind my brother. She’d call his name. Yo-shi-hi-ro. Yo-shi-hi-ro. And her voice would overflow with an earnest love. Yoshihiro just tossed open the door to my room and said this: that’s how casual an introduction he gave Sarah the first time he brought her to see me. She’d gone to the Summer Festival at a local shrine, and on her way home she’d stopped by our house. I happened to be sitting at my desk at the time, attempting to plow my way through several acres of summer homework, and since this sort of thing didn’t happen every day, I had her write my English essay. She seemed so eager to help that I felt it would be unkind to refuse her. Really, I’m not lying. English had always been my best subject. “I’ll let you have her for an hour–but no more. After that I’ll walk her home,” Yoshihiro said. Then he went into the living room to watch TV. “Sorry to spoil your date like this,” I said in my rather wobbly English, and Sarah replied, “Hey, no problem. It’ll take me about five minutes to get this done, and while I’m doing it you can be finishing up your work for some other subject, right?”–or words to that effect. Her English was smooth and easy, her voice was lovely, her blond hair seemed to be streaming down her head. She grinned. “Well then–I guess if you could just make up something about `A Day in My Life’ and write it out, that would be terrific. If you make the sentences too complicated it’ll be obvious that I got someone else to write it for me, so I’d appreciate it if you could make it more or less like the sample they give here,” I said, struggling desperately to form these sentences, to make her understand. “Okay. So what time do you get up every day? Do you have a Japanese-style breakfast? Or do you have bread? And what do you do in the afternoon?” She asked these and a few other questions, and suddenly we were finished. I looked at the essay she’d written. Thus, little by little, we began to loosen up, to start feeling comfortable with each other, and we spoke openly about all sorts of different things. The evening was slightly chilly, and the night air shivered with the shrilling of crickets. Sarah sat with one of her elbows propped up on a low table that I’d set out in the middle of my room, continuing to help with my homework. I found myself in a world of wonderful colors–colors that made it seem as if the entire room had been suddenly flooded with light. Blue and gold. Her white, almost transparent skin. The sharp line of her jaw as she gazed straight at me and nodded. I thought of the black boat Commodore Perry arrived on when he came to “open” Japan. It was the first time I’d ever talked with someone from a foreign country at such close range, and she’d come whirling into my room so suddenly, so completely unexpectedly. I could hear the thump of drums and the sounds of flutes and a few other instruments out at the festival, ballooning along on the wind. Off in the distance a round moon drifted weightlessly up through the black sky. Every so often a soft breeze would slip in through the open window. This was a totally childlike thing to say, a thought even more distant than a dream. But Sarah was still enough of a child that she could have such dreams, and she had enough leeway to do so. The courage of a person who has no fear of the future. She laughed and then started to speak, with a look on her face like she was dreaming. Her eyes were those of someone who’s just fallen in love, someone who sees nothing but her lover, someone who has no fear of anything. The eyes of someone who believes that every dream will come true, that reality will move if you just give it a push. Sarah belonged to a time so long ago that I never thought of her anymore, and I hadn’t the slightest idea where she was or what she was doing–she was no longer part of my life. And then in the course of a perfectly ordinary day, as I was going about perfectly ordinary tasks, this letter appeared. It had been lying wadded into a hard little ball in the depths of my desk, in the dark recesses of a drawer I opened. Perhaps all this began when I plucked that wad out of the shadows, wondering what on earth it could be, and uncrinkled it with my fingers. As if some ancient spell had been broken, and was slowly dissolving, drifting out into the open air…. It was spring when we went to see my brother off. He and his girlfriends were waiting at the airport when we arrived–yes, he had lots of girlfriends back then–and they were all decked out like flowers. The sky was marvelously clear, and my brother was in such a great mood, he was so delighted at the prospect of traveling that the rest of us got carried away too, and we were all happy and laughing. Those were good times. And we were all so glad that you and my brother were in love. It’s strange, but somehow my brother just does that to people–all of a sudden you find yourself seeing things the same way he does. But of course you know that! The cherry trees were in bloom when my brother left. I remember seeing petals drifting down here and there, like tiny flecks of light. My brother doesn’t write very often, but I assume that means you’re both doing well. I hope you’re having a nice time. Come visit us again in Japan. Once, back when I was still a girl, my brother and I and our cousin Mari went for a walk together along a dusk-darkened road. Our relatives had gathered for a memorial service or something like that, and we’d gotten terribly bored and secretly slipped away. We were just out wandering, we had no destination in mind. The road stretched along one of the mounded-up banks of a river near the house where my father had grown up. It was that time of the evening, when off in the distance the other bank of the river is just beginning to drop away into the darkness of night. Soon the halo of light that always hung over the town at night would be reflected in the river, and even now the clear air was gradually filling with indigo, the indigo air drifted up, so that you almost felt as if you were seeing the air itself. 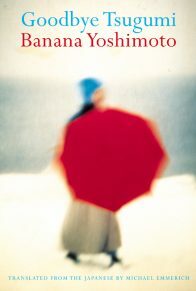 The sky gleamed ever so faintly with the last traces of daylight, and everything was blurred, difficult to distinguish. Everything was beautiful. As I recall, I’d been stating rather insistently that When I was an adult I was either going to be a businesswoman or else marry into some fabulously wealthy family, one or the other, that was absolutely definite, and if they wanted to know why, the reason was that our aunt Reiko–who’d married a businessman from a fabulously wealthy family–had looked simply gorgeous in her black dress, and because her genuine pearl necklace had been so splendid, and I was sure that if I could spend that kind of money on myself I’d look just as elegant as her. “Then how come you spend all your time at home?” I asked. “You really do a great job of making things difficult, seeing as you know perfectly well what I’m talking about. I’m not talking about the body. Besides, you and I are still just kids, that’s why we’re still at home. Soon we’ll be able to travel as far as we want to.” Yoshihiro grinned. “God, the two of you just don’t listen, do you?” My brother smiled peevishly. “What on earth are you talking about?” my brother said. “Well, it’s not likely that I’ll end up leading a life that different from the one I’m leading now, is it? So there’s nothing for me to do but fall passionately in love. Besides, I just love the idea of having everything fall to pieces. In the end you give in and slink off to get married to someone more appropriate. After all, these passionate love affairs always end badly,” Mari said. “You’re a very strange young woman,” my brother said. Even then my brother must have had that certain something that makes a man popular with women. He didn’t even blush when our lovely older cousin teased him like this. He wasn’t the slightest bit uncomfortable. “It’s true, isn’t it. No hassle involved–nice and easy,” he said. “It’d be fun if we could live in the same house as you,” I said. “But a lot of things are going to happen from now on,” my brother said. He sounded almost like he was talking to himself. I still find it strange. Why was it that even then, when he was still just a boy, my brother had such a profound if sketchy understanding of so much of life? Why did you get the impression that he already knew all about that mode of living where you’re always making plans, always moving ahead, moving ahead, never settling down for good in any one place? The three of us walked on and on along the bank of the river. The roar of the water crashed through the air with such thunderous force that it somehow ended up seeming very quiet. Even so we were speaking quite loudly, and every little nothing we said seemed strangely pregnant with meaning. I often remember that evening, the river flowing on into the distance. And now a year had passed since my brother died. It really did snow a lot that winter. Maybe that explains why I hardly ever went out at night, but just stayed holed up inside my room. I was in college, but it had been decided that I’d study abroad the next semester, and that meant I didn’t have to take any makeup exams. Which is to say that my situation ought have been very pleasant and carefree, but for no particular reason I’d gone and turned down every invitation I’d received to go skiing or to travel around spa-hopping. I guess maybe I’d gotten to like the feeling of being snowed in–maybe that explains it. All the plain old houses lining the plain old streets were dusted with white, so that it seemed like something out of science fiction. It was great. You felt like everything had come to a halt, like you were stuck in some sort of snowdrift where what had piled up wasn’t snow but time. It was snowing again that night. The snow kept streaming down outside, fast and thick, deepening. My parents had already gone to bed, and our cat was asleep–you couldn’t hear a single living sound anywhere in the house. 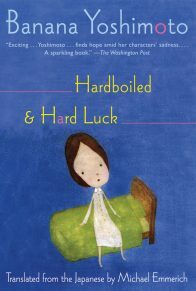 It was so quiet that I could even distinguish the low moan of the refrigerator out in the kitchen, and the rumble of cars driving along the main street. I was reading a book, concentrating intently, so I didn’t notice what was happening for quite some time. Then suddenly I glanced up, startled by the rapping I heard, and saw a white hand at the window, beating very precisely on the glass. The sight was so chilling it made the air in the room start to quake and quiver the way it does when you’re listening to a ghost story. I was so shocked that I just sat there, not saying a word, staring at the window. Mari’s familiar voice and a string of giggles sounded faintly outside the window, muffled by the glass. I went over to the window and slid it open. Looking out, I saw a thoroughly snow-plastered Mari gazing up at me with a big smile on her face. “God, you startled me,” I said. But even as I spoke I was having trouble accepting that Mari was there, suddenly there in front of me–I felt like I was dreaming. She’d been living with us until about three months earlier. She pointed to her feet. I focused my eyes on the dim rectangle of light that the window cast into the darkness, and realized that Mari wasn’t wearing any shoes. I shrieked. All the time I was standing there gusts of snowy wind had been whirling around me into the room. “Hurry inside. Go around to the front door,” I said. Mari nodded and walked off toward the front garden. “What on earth have you been doing?” I asked her as soon as I’d given her a towel, and was setting the heater in the room on high. She’d been drenched when she stepped through the door, and her hands were so cold they seemed like they might be turning into ice. She peeled off her wet socks and then sat down and put her bare feet up against the heater. Our cat slipped in through the crack between the door and the doorframe and came over and rubbed up against her. He’d always liked Mari. She started petting him, and I watched her, and gradually I began to understand. Mari was more or less a caged bird: she couldn’t step out the front door of her house without first reporting to her parents. No doubt she’d been sitting by the window, gazing out at the snow, and suddenly she’d felt this urge to go outside, and since she didn’t want to have to ask her parents for permission, she had just slipped out through the window. Luckily her room was on the first floor…. Mari stood up. “You want some coffee?” she asked. When I nodded she opened the door and strode off into the kitchen. The cat rolled himself up into a ball in the place Mari had been sitting, making it seem less and less obvious that she’d actually been there. As a matter of fact it had always been like that with Mari, even when she was living with us. She’d march through the house almost exactly the way a cat does, with that same air of belonging, and if you left her alone she’d just sit there staring off into space, not saying a word, or else go to sleep. You hardly even realized she was there. She seemed to be in the process of fading away. 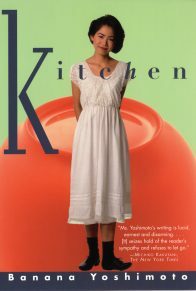 Mondays are English conversation, Tuesdays are swimming, Wednesdays she studies the tea ceremony, Thursdays she studies ikebana … that’s the sort of feeling she had about her. She was the sort of person who was always doing something, and who did it all beautifully. In those days her very presence suffused a room with brightness and vigor. She wasn’t an extraordinary beauty, but she had a really nice body, and her legs were long. Her features were all very compact and her face was tidily arranged, so the impression you got, looking at her, was one of cleanliness and purity. Whereas now she just seemed subdued. And I didn’t think this was because she’d stopped using mascara and rouge, or because she was now twenty-five years old. Mari had stopped responding to the outside world, she’d pulled the plug on the whole system, she was taking a break–I felt convinced of this. Because, as she saw things right now, life was nothing but pain. “Here you go. One coffee with milk.” Smiling, Mari held out a cup, rousing me from my thoughts. She held a cup of strong black coffee in her hand, just like old times. “Are you planning to stay over tonight?” I asked. We’d left Mari’s room in pretty much the same condition it had been in when she was living with us, and used it as a guest room. Though she hadn’t read very many books during that period, and she hardly ever went out, and she hadn’t listened to much music–basically all she did was go to sleep and then get up again, like a guest at some hotel who wasn’t even having meals. “Nothing, really. Actually I feel better already,” Mari said. Since it was late we both kept our voices down. As a result you almost had the feeling you could hear the snow whirling down outside. Snowflakes skittered whitely through the darkness on the far side of the fogged-up window. Everything seemed to gleam with a pale light. “This sure is some snow,” I said. Mari’s tone of voice made it sound like none of it really mattered much to her. For someone who’d just come walking barefoot over asphalt through the pitch black, she seemed pretty indifferent to the cold. I looked at her profile, her long hair, her small round lips. She was flipping disinterestedly through some new magazine. I walked her as far as the front gate when she left. The snow really was incredible–it hopped around chaotically right in front of your eyes, like it was dancing. The street just in front of our house was lost in the darkness and the snow. You could hardly even make it out. I’d practically shouted this. But it was true, I’d been thinking all along that this was an awfully spooky situation–almost like a haunting. A barefoot cousin who bangs on the window late one snowy night. She’d taken a pair of bright red gloves out of her pocket, and as she spoke she slipped her hands into them, clomping her feet around in the much-too-big shoes I’d lent her. Her clear voice glittered in the night; the air was so cold it felt like pinpricks. Having said this, she waved and called good-bye, smiling. And then she vanished into the snow. 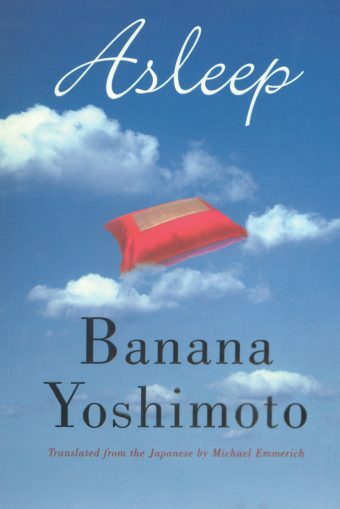 ©1989 by Banana Yoshimoto, translation ©2000 by Michael Emmerich. Reprinted with permission from Grove Atlantic, Inc. All rights reserved.